Primrose Pointe Homes for Sale! 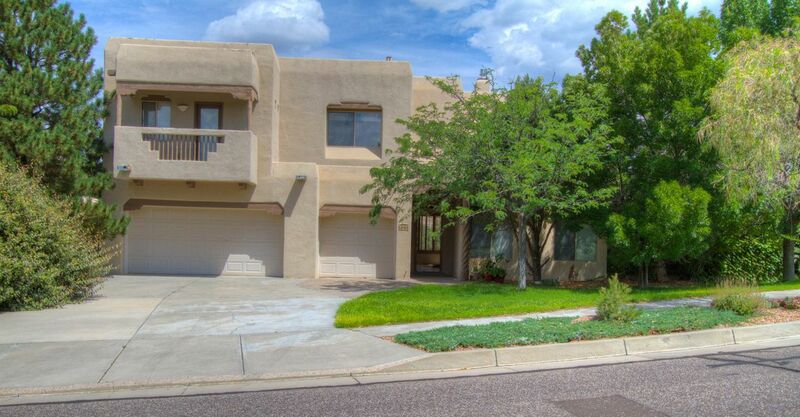 If you are looking for Amazing Mountain Views in the eastern portion of North Albuquerque Acres you may want to take a look at the homes in Primrose Pointe. My website contains ALL the listings from ALL Real Estate Agents, there's no need to look anywhere else for your next home. 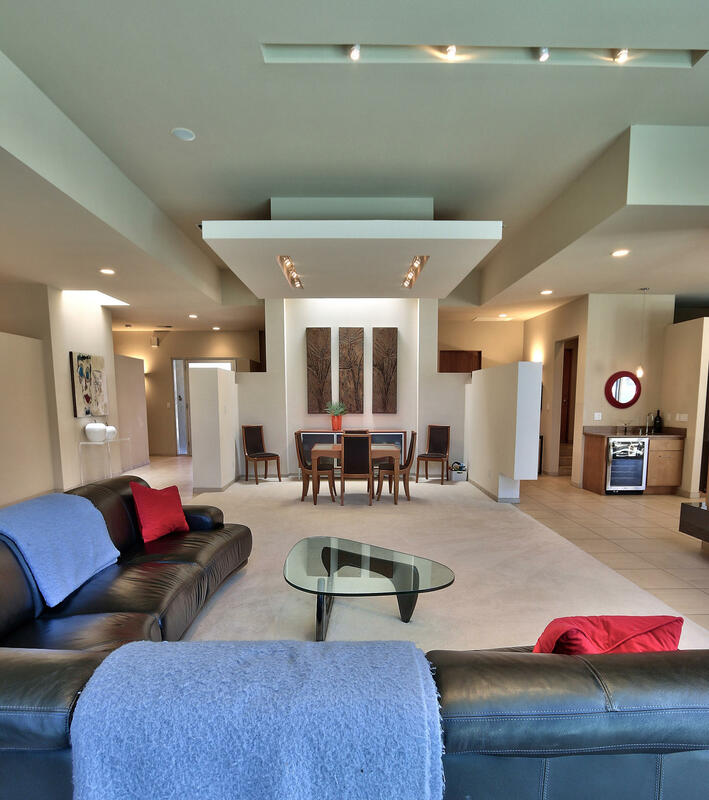 "Exquisite Panorama built home in Primrose Pointe. 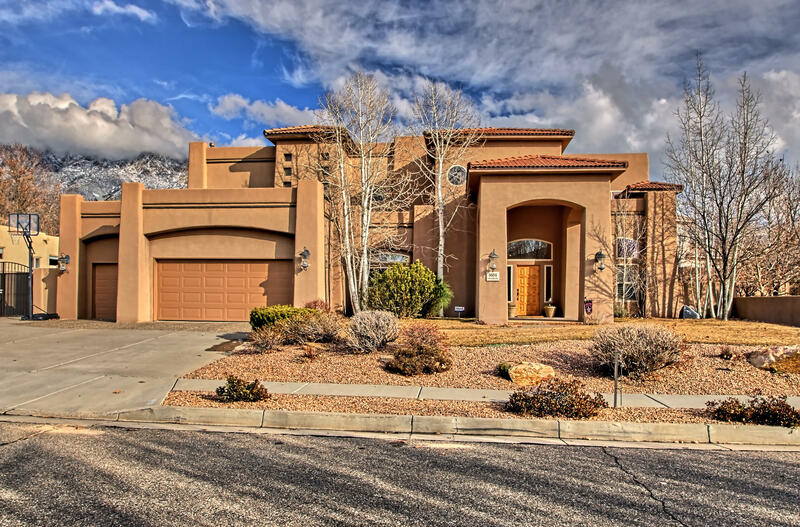 Upscale from the curb appeal and throughout the home.4 BR plus Office and 4 living areas.Soaring ceilings from the entry complimented by a grand winding staircase,travertine flooring ,formal living room ,stone fireplace,office. bed room down perfect for guests with 3/4 bath, formal gorgeous dining room,Chefs large kitchen with island bar,granite countertops,rich birch cabinetry,walk in pantry,eat in breakfast nook,open to entertaining great r"
"Elegant Mediterranean in Primrose with a swimming pool! 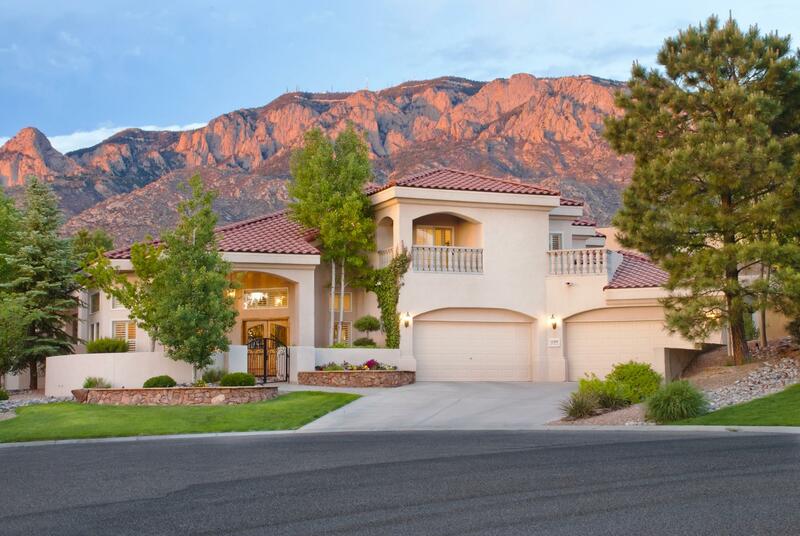 Majestic Mountain Views surround this lovely home making it one of the most coveted locations in the area. A sweeping spiral staircase welcomes you into the open space living and dining area. Travertine stone and hardwood floors throughout with rich wood details. Two-master suites one upstairs and another downstairs; plus a well appointed kitchen with views of the mountains, pool, and cascading fountain. This 1997 Luxury Parade Winner was b"
"Stunning contemporary design in Primrose Pointe. Suzanne Williams award winning custom build. Clean lines and high end finishes throughout the home. Wall of windows bring the outside in with beautiful views of the mountains and pool. Fabulous exterior entertaining space with covered patio and raised bed planters. Kitchen features Viking appliances and large walk in pantry. Great-room with glass and high ceilings for amazing light filled space and outdoor access. Spacious master suite. Separated "
"Great opportunity to purchase this 5 bedroom home and make it your own. Home is being sold ''As Is'' Seller will not make repairs or make any improvements."